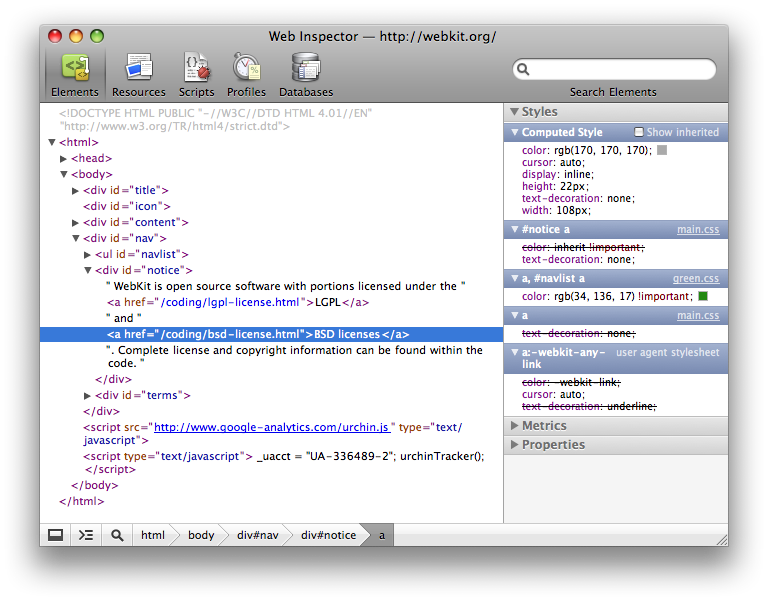 Like the Net panel of Firebug, the original Web Inspector probably looks familiar. Much of its functionality lives on to this day as the Elements panel in Chrome DevTools. Web Inspector launched a few days after Firebug, and Safari was the first browser to bundle developer tooling directly into the browser. Our first mission in this brave new world was to enable developers to debug real mobile devices from their development machines, which we call remote debugging. DevTools was actually well-positioned to handle remote debugging, thanks to another consequence of Chrome’s multi-process architecture. Early on in the DevTools project, we realized that the only way a debugger could reliably access a multi-process browser was through a client-server protocol, with the browser being the server, and the debugger is the client. When mobile Chrome came around, the protocol was already baked into it, so we just had to make the DevTools running on your development machine communicate with the Chrome running on your mobile device over the protocol. This protocol still forms the backbone of DevTools today, and is now known as the Chrome DevTools Protocol.